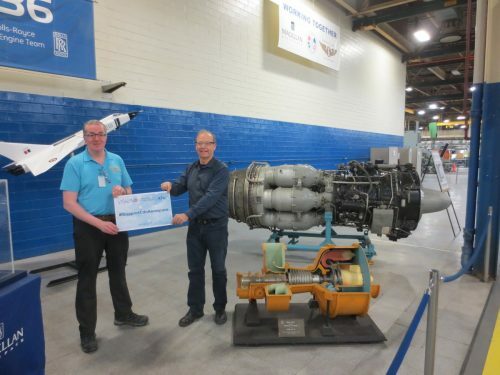 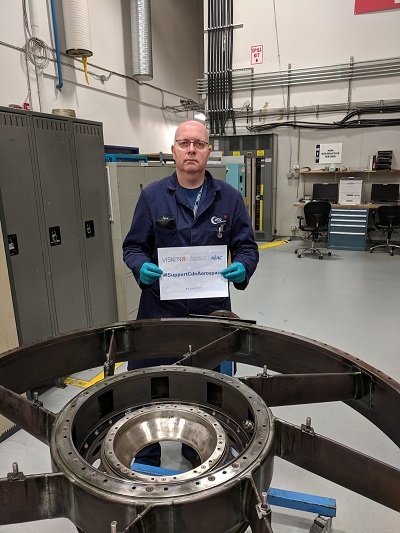 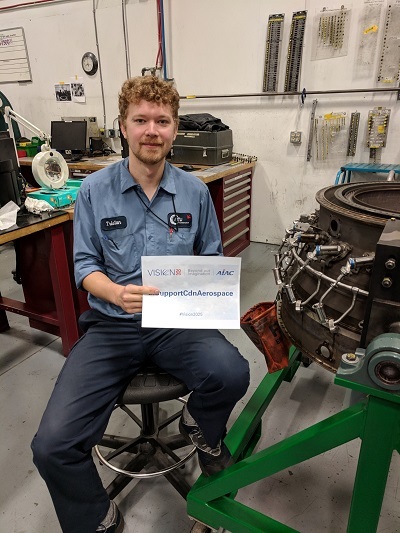 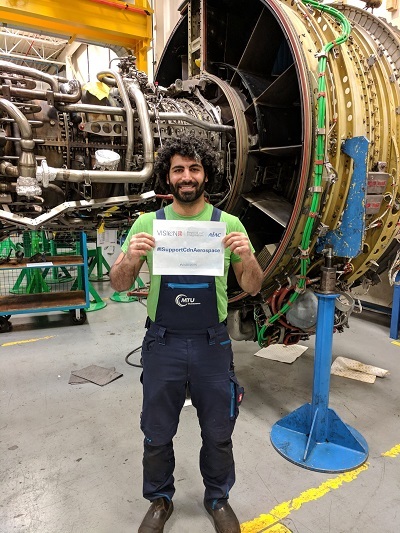 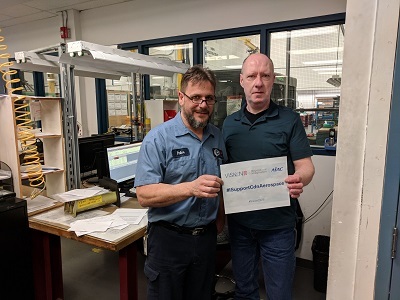 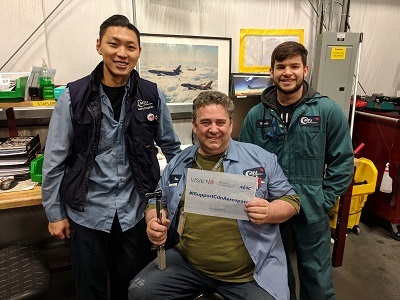 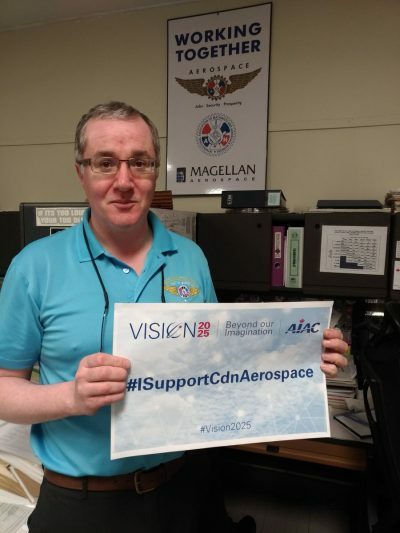 Toronto, On – The IAM joined the AIAC (Aerospace Industries Association of Canada) social media awareness campaign, #ISupportCdnAerospace, launched today. 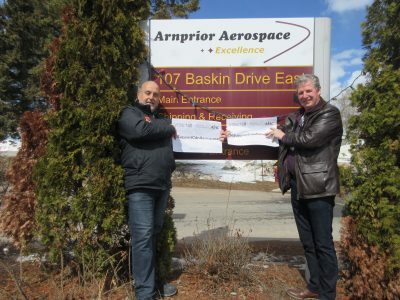 Across the country, IAM members showed their support by distributing their pictures on Twitter, holding the sign which read #ISupportCdnAerospace. 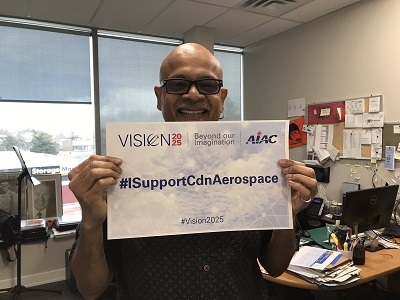 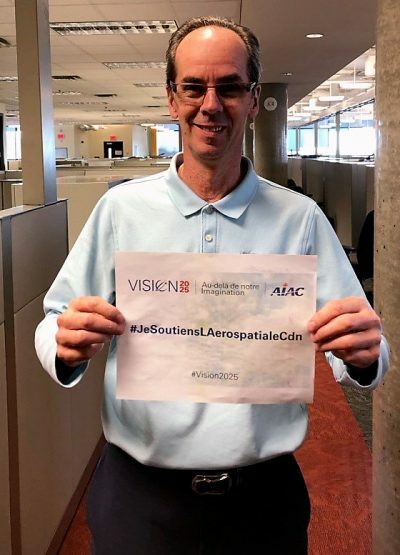 The social media campaign is to generate public awareness of Canada’s aerospace industry in advance of AIAC’s report on the industry – “Vision 20/25 Beyond our Imagination”, to be released in May. 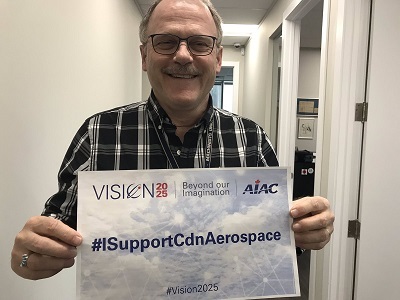 The AIAC represents Canada’s aerospace companies, many of whom supported the IAM Aerospace Report, “Grounded Potential” which was released in early February of this year. 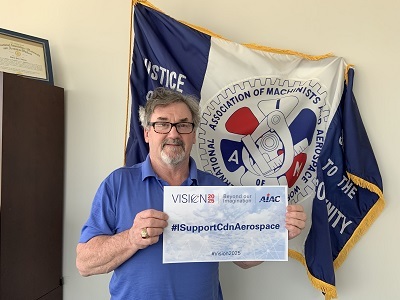 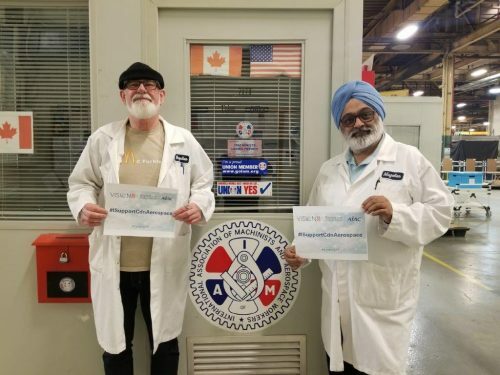 Both the IAM and AIAC share concerns about maintaining the 208,000 jobs in Canada’s Aerospace Industry which puts $28 billion in Canada’s economy each year. 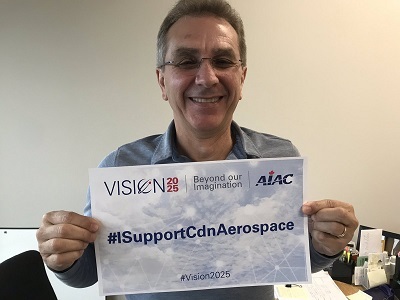 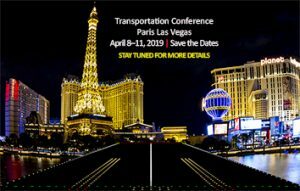 Both organizations are seeking continued government support of the industry at all levels. 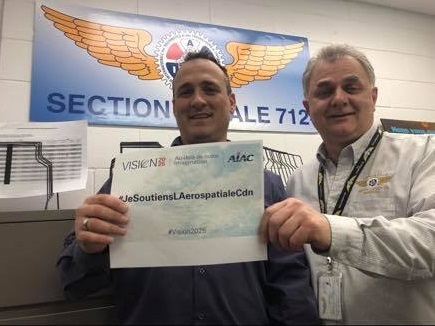 Both are aware that within six years, more than 70,000 aerospace workers are eligible to retire and there isn’t the sufficient educational infrastructure in place to train their replacements and keep our industry competitive.